Twisting a tinkertoy-like model of red and blue sticks and spheres, professor Dan Stack attempted to demystify organic chemistry. Tossing the plastic model aside, Stack projected the same three-dimensional model onto the screen with his laptop through a chemistry computer program. He moved the chemical structure with his mouse, showing it from every angle and explained how to adjust the online model to assess the chemicals. The study of chemistry is enhanced by computer applications from the recent surge in technology. As a forerunner in computer science among universities, Stanford combines computational and chemical science, leading to new discoveries, interdisciplinary programs and Nobel Prizes. Nationwide, the number of computer science majors rose 22 percent in 2013, with now on average 400 computer science majors per university — the sixth straight year of increasing undergraduate enrollment — according to the Computing Research Association’s annual survey. Enrollment in these majors is increasing rapidly at universities like Harvard, MIT, Stanford and the University of Pennsylvania. Computer science benefits the study of chemistry by adding a layer to analyze chemical processes. With Silicon Valley in their backyard, and Stanford as a center for computer science, many potential chemistry undergraduate majors select computer science over chemistry. Last year, 26 percent of Stanford undergraduate degrees were in computer science or engineering, which includes chemical engineering, about three times as many as at Harvard. Only three percent of Stanford students graduate with an undergraduate in chemistry, with a comparable percent at Harvard. Amani Peddada ’16 came to Stanford planning to major in chemistry. “Chemistry, specifically organic chemistry, has a puzzle-like nature that requires imagination to understand how a molecule is synthesized,” Peddada said. Peddada said he chose computer science because “it’s the closest thing to science fiction. You first learn to code and then within a few weeks you’re building your first computer game.” Such a fast turnaround is not found in chemistry. Methods for conducting chemistry experiments were different a century ago. Important discoveries, such as synthesizing life-saving drugs or finding cures for diseases, came from working with hands-on plastic ball-and-stick molecule models, like the ones Stack showed his class. Dressed in a white lab coat and protective goggles, the classical chemist sat behind his lab bench, pouring solutions and clanking beakers and test tubes until he made a discovery. While helpful in the earlier days, these methods are of little use on the microscopic scale when analyzing minuscule changes and rapid chemical reactions. Now, with greater knowledge of chemistry and advanced technologies, chemistry is done through other mediums — like a computer. “I don’t work with many chemicals,” chemistry major Darren Demapan ’14 said about his current research. On the third floor of the Seeley G. Mudd chemistry building, Demapan works, often for six to ten hours at a time, conducting research next to two large metal cylinders — no Bunsen burner or beaker in sight. Demapan only slightly tweaks one part of the experiment or another and works at his computer. “[My research is] mainly a lot of waiting, and writing mathematical calculations,” he said, explaining that his work is more physics and computation-oriented than purely chemistry. Computational modeling with chemistry was key to chemistry professor Michael Levitt’s research for which he received a Nobel Prize in chemistry in 2013. The prize was awarded to Levitt, along with Martin Karplus, professor of chemistry emeritus at Harvard University, and Arieh Warshel, professor of chemistry at the University of Southern California, for creating computer models to predict chemical processes. Levitt created chemical reactions using computers in the 1970s, and as computers advanced, he portrayed complicated chemical mechanisms and experiments. In 2013, computational chemistry allowed the trio to simulate how a drug works inside the body. Using computer-generated calculations, the Nobel laureates modeled atoms and protein responses to a drug. Such technologies are used today by drug companies to simulate the drug’s interaction in a body, followed by hands-on experiments in a chemistry lab for drugs that looked promising. In an interview after winning the Nobel Prize, Karplus said that in the beginning, his chemistry colleagues had thought using computers to simulate molecular processes was a waste of time. But times have changed: “now it has become a central part of chemistry and structural biology,” Karplus said. Computational chemistry allows a computer to understand a specific aspect of science — such as the structure of a protein — and then learn how it functions. Applications of coupling computers and chemistry include creating solar cells and drugs and optimizing motor vehicles. According to the chemistry Nobel Prize press release, “Today the computer is just as important a tool for chemists as the test tube.” Computerized models allow researchers to obtain precise numbers and find results that are impossible to conduct with hands-on experiments. Levitt received funding from the Human Frontier Science Program, which promotes interdisciplinary research and has supported over two dozen Nobel Prize winners, including three 2013 Nobel laureates. 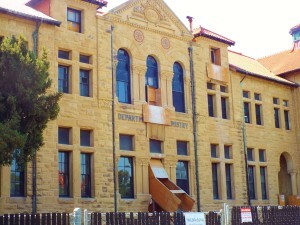 A similar interdisciplinary funding program is found at Stanford through Bio-X. Beginning in 1998, Bio-X provides grants for over 50 students and 400 faculty members to “catalyze discovery by crossing the boundaries between disciplines,” according to its website. Integrating biological research with areas such as chemistry, computers and engineering allows students and researchers to contribute their expertise. Bio-X’s objective is to understand health and disease at the genetic level by a chemistry approach, but also design devices and molecular machines to help patients. Computer programming is making its way into chemistry courses. One chemistry course at Stanford uses MATLAB, a user-friendly computer programming language that allows students to analyze the data they collect in a lab. These new tools will soon be housed at Stanford’s 116-year-old “old organic chemistry” building. 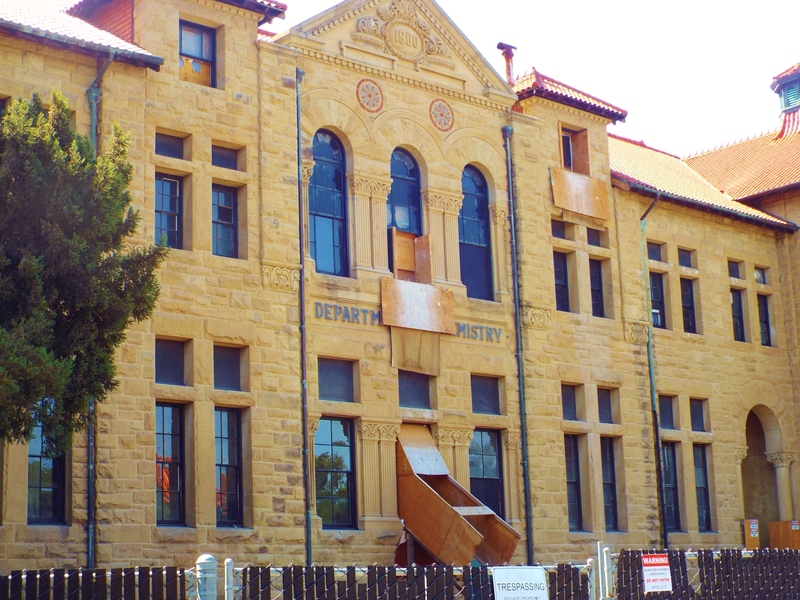 Damaged during the 1907 Great Earthquake, the chemistry building is going through a $66.7 million remodel and will open in the fall of 2016. The building will feature state-of-the-art teaching laboratories and technologies, from computers to lab equipment, such as gas chromatography machines and mass spectrometers. Though now a computer science major, Peddada plans to take advantage of the computational aspects at the remodeled chemistry building. Contact Katherine Carr at kcarr2 ‘at’ stanford ‘dot’ edu. Katherine Carr is a reporter for The Stanford Daily with a passion for science and public health. She comes to Stanford from Irvine, Calif., where she worked as a freelance writer for the Orange County Register. Carr is a prospective chemistry major and likes to write about science, politics and fashion. To contact her, please email kcarr2 'at' stanford.edu or follow her on Twitter @KatAnneCarr.